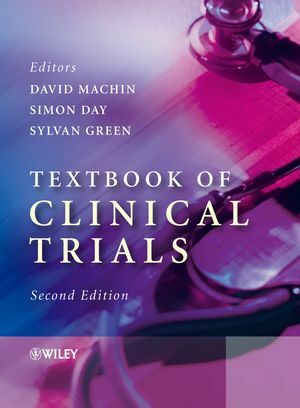 Now published in its Second Edition, the Textbook of Clinical Trials offers detailed coverage of trial methodology in diverse areas of medicine in a single comprehensive volume. The book’s main concept is to describe the impact of clinical trials on the practice of medicine. It separates the information by therapeutic area because the impact of clinical trials, the problems encountered, and the numbers of trials in existence vary tremendously from specialty to specialty. The sections provide a background to the disease area and general clinical trial methodology before concentrating on particular problems experienced in that area. Specific examples are used throughout to address these issues. 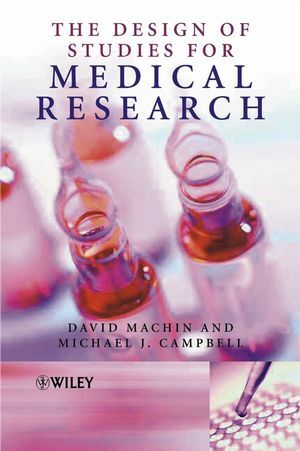 An invaluable resource for pharmaceutical companies, the Textbook of Clinical Trials, Second Edition appeals to those working in contract research organizations, medical departments and in the area of public health and health science alike. David Machin, Division of Clinical Trials and Epidemiological Sciences, National Cancer Centre, Singapore. Simon Day, Medicines and Healthcare Products Regulatory Agency, London, UK. Sylvan Green, Arizona Cancer Center, Tucson, Arizona, USA. 1 The Development of Clinical Trials (Simon Day). 2 General Statistical Issues (David Machin). 3 The Cochrane Collaboration (Mike Clarke). 4 Breast Cancer (Donald A. Berry, Terry L. Smith and Aman U. Buzdar). 5 Childhood Cancer (Sharon B Murphy and Jonathan J.Shuster). 6 Gastrointestinal Cancers (Daniel Sargent, Richard Goldberg and Paul Limburg). 7 Melanoma (Ping-Yu Liu and Vernon K. Sondak). 8 Respiratory Cancers (Joan H. Schiller and Kyungmann Kim). 9 Adrenal Cortical Carcinoma (Isha Malik and Petros Perros). 10 Thyroid Cancer (Vijayaraman Arutchelvam and Petros Perros). 11 Urologic Cancers (Edith D. Canby-Hagino, Catherine M. Tangen, and Ian M. Thompson). 12 Haematologic Cancers: Challenges in Developing New Therapeutic Approaches (Charles A. Schiffer and Stephen L. George). 13 Acute Stroke (Philip Bath). 14 Cardiovascular Disease (Krishna Prasad). DENTISTRY AND ORAL HEALTH CARE. 15 Dentistry and Oral Health Care (May C.M. Wong, Colman McGrath and Edward C.M. Lo). 16 Dermatology (Luigi Naldi and Cosetta Minelli). 17 HIV Infection (Michael D. Hughes). 18 Infectious Diseases (Ingela Krantz). 19 Ophthalmology (Jonathan C.K. Clarke and Peng-Tee Khaw). 20 Anxiety Disorders (M. Katherine Shear and Philip W. Lavori). 21 Cognitive Behaviour Therapy (Nicholas Tarrier and Til Wykes). 22 Psychotherapy for Depression (Graham Dunn). 23 Contraception (Gilda Piaggio and Timothy M.M. Farley). 24 Gynaecology and Infertility (Siladitya Bhattacharya and Jill Mollison). 25 Early Pregnancy Termination (Beverly Winikoff and Batya Elul). 26 Maternal and Perinatal Health (Jos´e Villar, Allan Donner, Edgardo Abalos and Liana Camp´odonico). 27 Respiratory Medicine (Anders K&auml;ll&eacute;n). 28 Anaesthesia and Pain (Paul S. Myles and John Rigg). 29 General Surgery (Dr Olga Jonasson and Domenic Reda). 30 Plastic Surgery – Reconstructive Surgery (Erik Ang and Woffles Wu). 31 Plastic Surgery – Aesthetic Surgery (Woffles Wu and Erik Ang). 32 Renal Transplantation (Vathsala Anantharaman). 33 Wound Healing (Colin Song and Edwin Chan). 34 Palliative Care (Robert S. Krouse and David Casarett). 35 Complementary Medicine (Ping-Chung Leung). 36 Cluster Randomized Trials in Health Care Research (Randall D. Cebul, Neal V. Dawson and Thomas E. Love). 38 Clinical Trials in Paediatrics (Johan P.E. Karlberg). 39 Clinical Trials Involving Older People (Carol Jagger and Antony J. Arthur). 40 Clinical Trials in Rare Diseases (Simon Day).